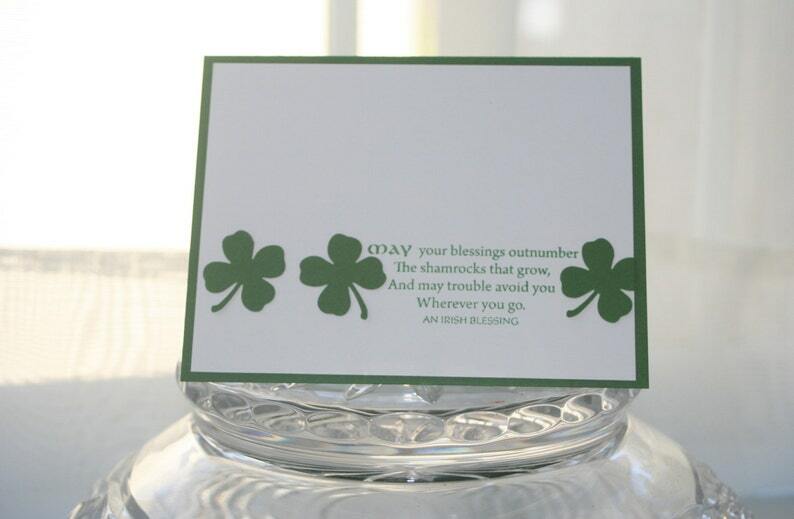 Whether you need to send someone a little good luck or an Irish blessing, this hand made card is just what you need. St. Patrick's Day is a great time to add a little blessing to someone's life. Or maybe someone is starting a new job, moving into a new home or even retiring and starting a new phase in life, these words of blessing are perfect. The sentiment is hand stamped with green ink onto white card stock. The shamrocks are cut out of a complementary green shade of card stock. Everything is then layered onto a green card stock base. Laura was wonderful to work with - she helped make a custom order for me in the color of my choice. Fast shipping, perfect product, and great communication! Very cute Easter card. Color of bunnies very vibrant. Good card for kids. Very nice quality and kind customer service. I love these cards and the verse on them. Prompt delivery! Payment is expected at the time of the order. I accept payment through direct checkout and paypal. Please read all descriptions carefully and feel free to ask questions about any item before you place an order. I will be happy to explain any details regarding any item in my store. If the item has been misrepresented, please contact me within three days receipt of that item so that I can work to make things right. Please wait to return items until we've had a chance to speak. If the item does not meet with your standards, I will be happy to refund the cost of the item once it has been returned to me in re-saleable condition. I ship all items USPS. Your items are first placed in a clear re-sealable bag so they are protected along their journey to you. I do my best to combine affordable shipping with item safety and will ship various items in various way. Single cards are shipped in a rigid envelope to prevent bending. When you order multiple cards or items that do not fit easily in a rigid envelope they may be shipped either in a bubble envelope or a box, depending on the size of your order. When you order note card sets or anything that is not flat or is easily crushable, I will send those in boxes. If items somehow get lost, I will do my best to work with you and the post office to find the order. All items are sent with a tracking number to help us find them if they got lost on their journey to you. All customs duties and charges are the responsibility of the buyer. 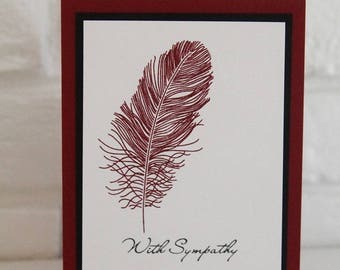 If you love a card but need it for a different occasion than what it's been designed for, don't hesitate to contact me. Many times I am able to recreate cards according to your needs.